Native Americans, and Native Alaskans, have a long history of being under-represented in traditional American colleges and universities. Over the years, a large number of financial aid programs have been put into place to help redress this imbalance. These programs are supported by both the private and public sectors, and offer much needed assistance to Native American students who are struggling to pay for college. Before you apply for any grant program dedicated to Native American students, you must first be able to prove, with accepted documentation, that you are at least ¼ American Indian. This will take some time, but it is vital to securing any financial aid specifically designed to benefit Native Americans and Native Alaskans. Once you have received your Certificate of Degree of Indian Blood, you can begin your search for grants, scholarships and other financial aid programs dedicated to Native American students. The first stop along the path to any college funding is the Federal government. 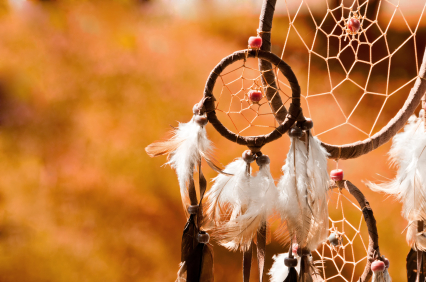 While past relations between the Tribal Nations and the Federal government have certainly been strained, recent attempts to redress a history of persecution have led to a number financial aid programs designed to help Native Americans improve their educational opportunities. The White House Initiative on Tribal Colleges and Universities provides information on the 33 fully accredited Tribal run colleges and universities in the United States. Through the WHITCU students can find information on tribal run colleges and universities that offer support and encouragement to Native American students pursuing their higher education goals. The WHITCU works with their companion agency, the Bureau of Indian Education to administer a number of grants and scholarships designed to benefit college-bound Native Americans. These include the Bureau of Indian Education Higher Education Grant and the Indian Health Service Scholarship. The BIE also provides information on regional scholarships, loan resources, and tuition waivers for Native American students. These programs are open to all applicants, regardless of race or ethnic heritage. The American Indian College Fund is a prime source of financial aid for Native American students looking to fund their college education. While the AICF doesn’t specifically offer grants, they do support three integral scholarship programs that deserve mention. The Undergraduate Tribal University Scholarship – designed for students attending one of the 33 accredited Tribal Universities. The Undergraduate Non-Tribal University Scholarship – available to Native American students attending an accredited non-tribal college or university. The AICF Full Circle Scholarship – for Native American graduate level students pursuing their degrees at either a Tribal, or non-Tribal, college or university. The American Indian College Fund is also a prime source of information on developing programs that benefit the Native American community, and students are encouraged to remain in contact with the organization to keep up to date on relevant news and events. College-bound Native Americans can often find financial aid through their own tribe. Individual tribal nations routinely offer grants, scholarships and loans to students who are struggling to find the necessary resources to go to college. Once you have determined your tribal ancestry, contact your tribal elders to learn about any programs that may be available. The University of Oklahoma provides an exhaustive listing of recognized American Indian Tribal Nations, along with links to their dedicated websites. Financial aid for college-bound Native American students can be found from a variety of sources. In addition to the Federal government, many state governments support grants and scholarships for their Native American residents. These programs are predominately found in states that have a large American Indian population. Students are encouraged to contact their state’s Department of Higher Education to learn about any financial aid programs that are dedicated to Native American residents. Beyond any government sources, many professional associations and philanthropic organizations sponsor grants and scholarships for Native American, Native Alaskan, students. In many cases these programs will target students who are members of specific tribes, or who are pursuing specific professional degrees. Native American students will find grants and scholarships at both the undergraduate and graduate levels. Some examples of the variety of grants available will give Native American students an idea of what may be available to them. The American Indian Graduate Center is a philanthropic organization dedicated to helping Native American achieve their educational goals. 1500 grants and scholarships are awarded annually to qualifying Native American and Native Alaskan students. The Indian Health Service provides education loans, scholarships and grants to Native American students pursuing a career in healthcare. Special attention is given to those applicants who intend to practice medicine within their native community. The National Science Foundation Graduate Fellowship provides research grants to graduate level students pursuing their degrees in science, technology, engineering or mathematics. Students must be enrolled at an accredited college or university, and special focus is given to minority students including Native Americans. The Tyonek Native Corporation provides grants and scholarships for Native Americans. General scholarships are available to students enrolled in a 2 year or 4 year college or university. Vocational grants are offered to students who are enrolled in an accredited technical or vocational school. The Association on American Indian Affairs administers the Adolph Van Pelt Special Fund for Indians. This fund provides scholarships and grants to Native Americans who can demonstrate the requisite level of financial need. Awards range from $500 to $1500 per semester. This is just a small selection of the available grant programs dedicated to helping Native American students realize their dream of a college education. Many more programs are available to college-bound Native Americans and Native Alaskans. The secret to finding these lucrative financial aid programs is research and diligence. Begin your search for financial aid for college early, to allow plenty of time to research, and to apply for, all grants and scholarships for which you may be eligible. For further information on financial aid programs dedicated to Native American students please refer to our section on Scholarships for Native Americans.